PT Indonesia Chemical Alumina - PT ICA is a rapid sustainable growth company in Indonesia that is involved in chemical grade alumina (CGA) industry. The Company was established in 2007 and become the pioneer in CGA industry in Indonesia and the fifth country in the Asia Pacific region besides Japan, Korea, China, and Australia. 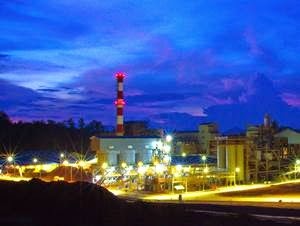 Headquartered in Jakarta, PT ICA has production facility located at Tayan, Sanggau Regency of West Kalimantan. The Company is a joint venture between PT Aneka Tambang (Persero) Tbk (ANTAM Group) and Japan Showa Denko KK (SDK). ANTAM Group, which owns 80% of PT ICA’s issued share capital, is a leading state-owned mining company in Indonesia. ANTAM Group is listed on the Indonesia Stock Exchange (IDX:ANTM) and is majority owned by the Government of Indonesia. SDK owns 20% of PT ICA’s issued share capital and is a reputable chemical company from Japan. According to ANTAM Group Annual Report 2015 as cited by JobsCDC.com, PT Indonesia Chemical Alumina produced 89,869 tons of alumina basis in 2015. S1 from reputable university, majoring in Industrial Engineering, Chemistry. Have a good understanding about production planning and packing/in plant/logistics. Willing to be placed at Tayan Site Sanggau Regency - West Kalimantan. JobsCDC.com now available on android device. Download now on Google Play here. Please be aware of recruitment fraud. The entire stage of this selection process is free of charge. PT Indonesia Chemical Alumina - Production Planning Foreman ANTAM Group June 2016 will never ask for fees or upfront payments for any purposes during the recruitment process such as transportation and accommodation.